I first met Erin Reitz as a freshman taking my first art history class, Intro to Contemporary Art. She was a graduate student working as a teaching assistant, while conducting research for her dissertation. By the time we crossed paths again, she had completed her doctorate in art history and wrote her dissertation on the Black Panthers. 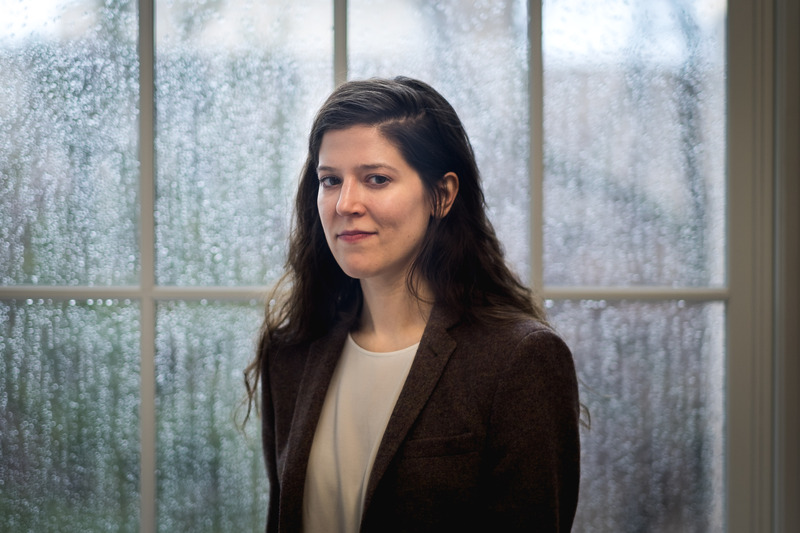 Despite never having taken an art history class during her undergraduate career — she entered Northwestern as a philosophy major pursuing the pre-medicine track — today, she is a visiting professor in Northwestern’s art history department. She was always interested in radical politics and aesthetics. Her college friends joked that she studied “revolution,” so perhaps her career choice was somewhat inevitable. Most of her classes, whether in political theory, history, or the one art theory class she took, were either tangentially or directly related to radicalism. Through these academic awakenings, she created an ad-hoc major called “Modernity Studies,” giving her space and time to question the status quo, both politically and aesthetically. As a professor, she continues to put pressure on dominant narratives through her research and teaching. Her primary interests are in the intersection of art and politics, and she specializes in American and African diasporic art. In her eyes, there is always relationship between art and politics. Exploring these ideas is more than an academic pursuit for her –– it is a daily act of thinking critically about the images around us. “If there are dominant ways of seeing and thinking in the world — of acting in the world, or making things in the world — then to make something is to position yourself in that field,” she said. When she entered graduate school, she wanted to continue exploring this relationship between radically political artists and their art-making practice, which ultimately led her to research the Black Panthers. Although much of the artistic discussion on the Panthers explores their use of iconic images and illustrations, Reitz was more interested in the Panthers’ understanding of their art as revolutionary and how they prompted audiences to view the world from a militant perspective. She became interested in the media controversy over whether Fred Hampton had been killed in a Panther-instigated gun battle, or by the Chicago police, and how both sides mobilized narratives and counter-narratives through images. One of the courses she taught this year was titled “American Art: 1861-1968.” From its name, one might expect to study canonical artists like Jackson Pollock and Andy Warhol. But Reitz had a different pedagogical approach. Like her research on the Panthers, she wanted to unsettle the canonical narratives of American art, and offer alternative ways of understanding history. “There’s a tendency in art history to celebrate the originality or genius of an artist, to assert that something is a development in and of itself,” she said. However, teaching a century of art history allows her to rethink questions about form, politics, and identity in new ways. “Imagining possibilities” is something that comes up over and over again whenever I talk with her, especially since the histories and images she researches can often leave viewers feeling powerless. While these histories and images are challenging to grapple with, she wants to create a space that challenges everyone, including herself. She hopes to encourage people to have more empathy for other perspectives and experiences. This process of “unsettling” existing narratives, allows one to pose important questions and imagine possibilities to think, see and act in the world. Like the artists and artworks discussed in her lectures, Reitz’s work as a professor and scholar is also a form of activism. “To teach a class where you’re talking about white supremacy and institutional racism is to risk upsetting people. But hopefully in a way that might encourage them to rethink what they’re willing to acknowledge about the state of American politics, whether in 1865 or today,” she said. Sitting in her office today, I realize how much has changed since we met three years ago. I will be graduating, feeling fortunate to have spent my time learning from scholars in the art history department. Reitz will also begin a new chapter at Brown University as a Pembroke Center Postdoctoral Fellow after a long academic career at Northwestern. It has been a period of growth with new beginnings and endings, yet there is continuity between TA Erin and Professor Reitz. Both question the status quo and encourage students to challenge themselves to see, think, act consciously in the world. After her fellowship at Brown, Reitz will begin a tenure-track position at the University of Illinois at Urbana-Champaign. Wherever she goes, Reitz will continue to confront the histories that we so often take for granted.